When it comes to colon cancer, this saying is especially true. Colon cancer is one of the three deadliest cancers in the US, but with early detection and treatment, there’s a 90 percent survival rate. With statistics like that, it’s hard to believe that many people delay getting screened. Though US guidelines recommend the first screening at age 50, most people don’t schedule their first colonoscopy until age 57. Don’t be one of those people. Don’t wait until it’s too late. The recommended age for a first-time screening is 50 (45 if you are African American), but it may be earlier if you’re at higher than average risk, e.g. if you have a personal or family history of polyps or colon cancer. Ask your physician or gastroenterologist for advice. There’s no reason to delay. A screening colonoscopy is covered by most insurance plans and can usually be completed—from check-in to check out–within a few hours. Those few hours could save the rest of your life. Can You Afford a Colonoscopy? The fee for a colonoscopy at an independent ambulatory surgery center is reasonable and far less expensive than it would be at a hospital or hospital-affiliated surgery center. A colonoscopy is not just a great screening method for colon cancer, but also a great preventive measure against it. 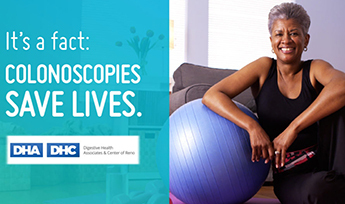 During your colonoscopy, your gastroenterologist will not only screen for cancer and check your colon health, but also remove any cancerous or precancerous polyps. Convenience, with accessible curbside parking and convenient drop-off and pickup areas. A range of payment options, including cash pricing and payment plans. Expert colonoscopies that usually take just 2-3 hours, so you can quickly get back to your routine. Fellowship-trained and board-certified gastroenterologists, all with a high ADR (adenoma detection rate) that exceeds the national standard. The ADR is the percentage of patients whose cancerous polyps were successfully identified and removed by the physician performing the colonoscopy. Experienced medical support staff who specialize in gastroenterology procedures. A colonoscopy is an affordable, reliable way to get your colon cancer screening, and the only way to both detect and prevent colon cancer.